NYP/Columbia is one of the leading centers in the world for patients with end-stage heart disease, and one of the first to allow those with end-stage heart failure to benefit from Heartmate 3. This new left ventricle assist device (LVAD) takes over the pumping action of the heart, moving oxygen-rich blood throughout the body. In a groundbreaking study reported in New England Journal of Medicine and presented at American Heart Association in November 2016, Yoshifumi Naka, MD, PhD, reported fewer complications with the Heartmate 3, calling it a marked improvement over its predecessor, Heartmate II. 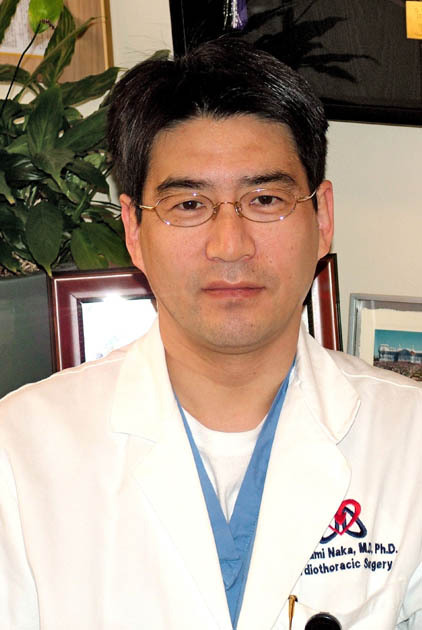 Dr. Naka is director of Columbia’s Cardiac Transplantation Program and Mechanical Circulatory Support Program. Columbia enrolled the largest number of patients in this trial. There have been three generations of LVADs since 1990 each advance resulting in better patient outcomes and quality of life. The first generation LVAD used a positive displacement pump to mimic the natural pulsing action of the heart. Second generation continuous flow LVADs, introduced in 2000, are smaller and more durable and use either a centrifugal or axial flow pump to circulate the blood. Yet patients often developed a condition called pump thrombosis, increased clotting or coagulation of the blood in parts of the body that make contact with the device. 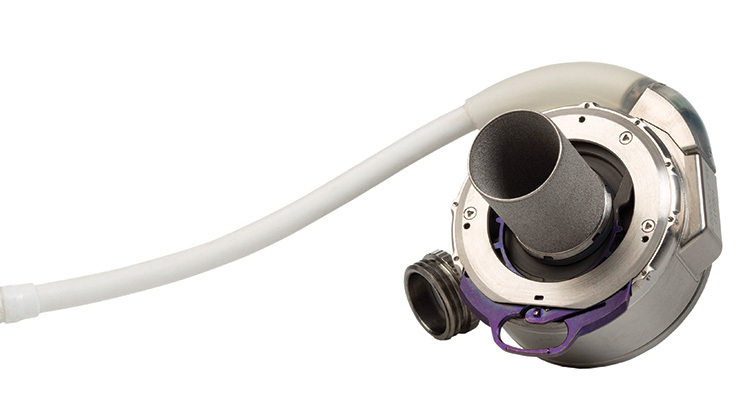 The third generation LVAD has a fully magnetically levitated pump that has less impact on the body. According to Dr. Naka, Heartmate 3 eliminates the clotting problem and the surgery needed to correct it, greatly improving the patient’s quality of life. How does the Heartmate 3 work? This device is implanted directly onto a patient’s native heart and designed to supplement the pumping ability of the weakened left ventricle, moving up to 10 liters of blood per minute. It is placed above the diaphragm, immediately next to the native heart, and is attached to the aorta (the main artery). HeartMate 3 leaves the patient’s natural circulation in place while providing all of the energy necessary to propel blood throughout the body. The patient wears an external control and a rechargeable power pack.